The region of South Tyrol offers many and stunningly beautiful trails – This way you can get to know our country and enjoy being a part of this spectacular nature paradise. Families and active sportsmen will certainly find the ideal track which suits their needs and expectations. Do you love a challenge? Then go for one of the thrilling downhill routes and speed down to the valley on your bike. Or do you rather enjoy a smooth and relaxing tour across vineyards, fruit gardens and flowering meadows? Take a break in one of the rustic mountain huts and enjoy a delicious snack. Filled with new energy, you can mount your bike and enjoy the rest of the ride. By the way: South Tyrol offers countless bike rental stations where you can comfortably rent all the bikes you need. The Fürstenhof is ideal for all those who wish to discover South Tyrol by bicycle or on a motorbike. Take a break in our hotel and relax before you tackle the next part of your journey. The large sunny lawn and the outdoor pool will make you forget the effort of the drive in no time and let you regain new energy. And best of all: You will get to know Naz and its wonderful surroundings during your bike holiday in South Tyrol and enjoy pure relaxation and wellbeing at the Fürstenhof. Do you love downhill rides? Do you want to feel the wind and be one with nature? Then the region around Naz is the perfect place to visit. A fantastic trail is the large Village Tour. It is a relatively easy path through divers terrains. The numerous viewing points are the highlights of this route. 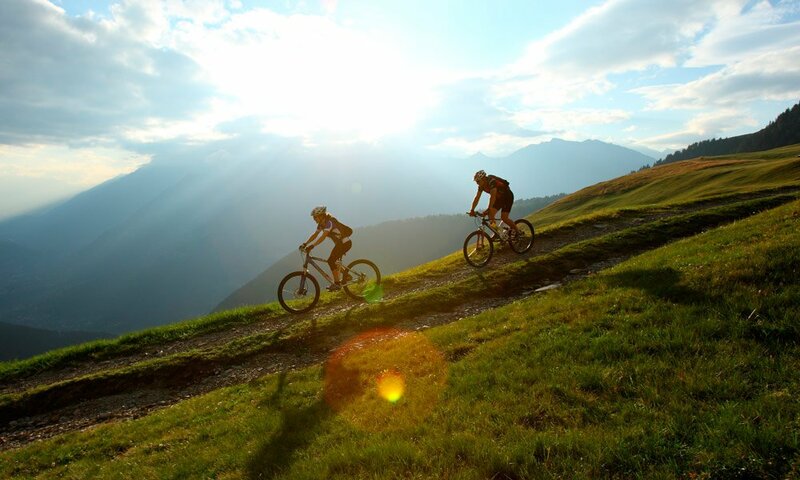 Mount Plose also hold countless trails in store for your downhill holiday in South Tyrol. The most spectacular itineraries include the tours along the Luson Crenel to the mountain hut “Edelweiss” and the route from the peak of Mt. Telegrafo to the Malga Ochsenalm.